For anyone interested in the Indus Valley Civilization or archaeology, add Dholavira to the itinerary and give one full day to visit the site. It is best approached by private vehicle. With its notable mud architecture, a medley of craft traditions and exquisite apparel, this eminently colorful and culturally rich land has a wonderful handcrafted feel. Each community has its own oral traditions, dance, craft and dress. 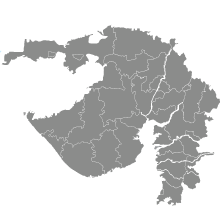 Stretching along the Tropic of Cancer, from Rajasthan to the edge of Pakistan and the Arabian Sea, Kachchh (Kutch) covers a little over 45,000 sq km and is geographically one of India's largest and most distinctive districts. From vibrant embroidery and cut leather to finely engraved wood, almost every community in the rustic region of Banni boasts of a colorful craft that demands the skill of a dexterous hand. Marvel at the colossal wooden boats built by craftsmen along the banks of the Rukmavati River, explore the Laxmi Villas Palace and stroll along serene beaches at Mandvi. Cleanse your mind, body and spirit with a few days of yoga, natural spa treatments and nourishing food at the Navjivan Nature Cure Centre. Skirt along the evocative fort of Lakhpat, which stares out over a silted port with memories of a once-flourishing city.